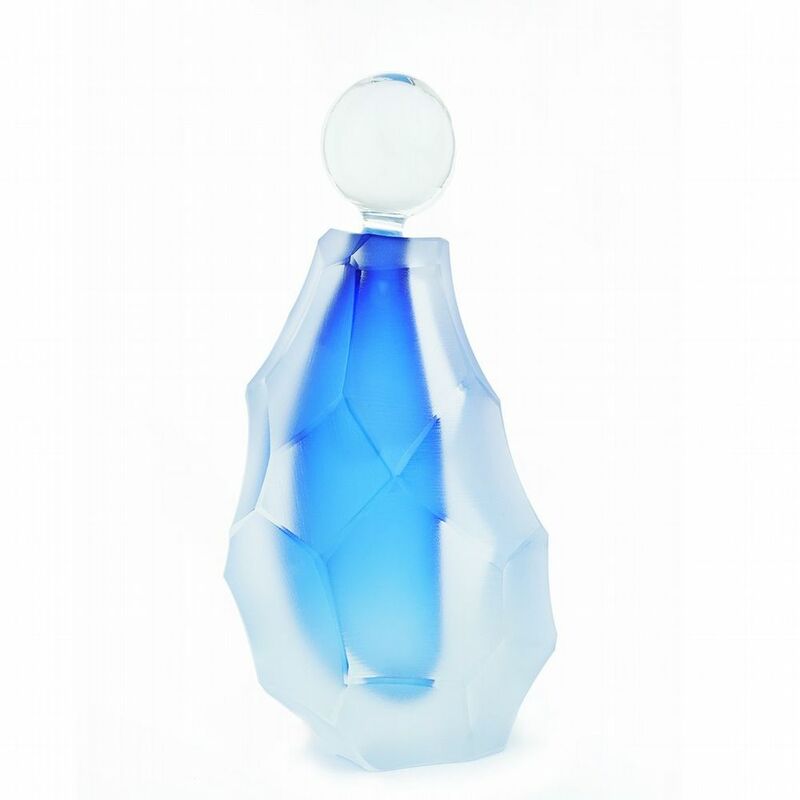 A bottle of rich, coloured glass within a bottle of striated, opaque glass by a Master Glassmaker based in Devon. His work is exquisite - the level of skill is unbelievable - so no wonder that he has exhibited in Museums and Galleries around the world. I have two of them already and am not sure if I will put perfume in them yet - at the moment watching the light catch the facets and deepen the colours is pleasure enough. Large, heavy and certainly an investment, if you love beautiful things and are feeling indulgent or generous then I cannot recommend more highly.